Bloomfield Cooling Heating & Electric Archives | Bloomfield Cooling, Heating & Electric, Inc. It doesn’t take a flood from a storm or broken pipes to require the work of a dehumidifier to help dry out a basement. In general, basements are damp and humid, creating an environment that can harbor mildew or mold. However, it’s not just obvious water problems in your basement that can cause issues in your home; excessive moisture builds up everywhere. Cooking, cleaning, and showering add moisture to your indoor air. That’s why a whole-home dehumidifier is such an important element in your HVAC system. A whole-home dehumidifier will improve your indoor air quality and your family’s comfort for several reasons. Excessive moisture can aggravate allergies, create musty odors, or show up as mold and mildew on surfaces. It is also a breeding ground for dust mites when the relative humidity exceeds 50 percent. Anyone with asthma or other allergies that are triggered by mold and mildew will be glad to have a drier home! A home with chronically high humidity may also suffer, with warping or damage to wood trim and floors. Humidity is also trapped in fabrics (furniture, draperies, and carpeting) and may damage photographs—anything that is sensitive to high humidity. Excessive humidity also causes the air in your home to feel warmer, which may lead you to crank up the air conditioning when it’s not truly necessary. With an installed dehumidifier, you’ll be less likely to overcool your home (which will help keep down your energy use and costs). Get rid of the cold, clammy air and mildew odors everywhere. The model we install (Model #1850) can remove up to nearly 12 gallons of water a day—but let’s hope you are never in the position to need that! This industry-leading, high-capacity whole-home dehumidifier is ducted to your HVAC system; it has an easy-to-use interactive display and is low maintenance. Your Bloomfield Cooling, Heating & Electric technician will check it and clean or replace the filter as needed once a year as part of your maintenance. With warm weather ahead, consider installing an Aprilaire whole-home dehumidifier. You’ll have less reason to crank up the AC, your family will be more comfortable, and anyone with sensitivities to moisture-induced contaminants will breathe easier—and more easily—with drier air throughout your home. Call us at 973-237-0505 to make an appointment. The temperatures in northern New Jersey are still fluctuating between winter cold and hints of warmer spring—but at Bloomfield Cooling, Heating & Electric, Inc., we’re gearing up for spring maintenance season for our customers’ HVAC systems. In fact, we’re ready to go with routine semi-annual service calls on the first 50-degree day. Your HVAC professional should perform several important routine maintenance tasks and system checks to ensure your central air conditioning will be ready to run properly when the warm weather hits. Plus, given the frigid temperatures we’ve endured this winter, your hard-working system will need some TLC from the technician. Check the refrigerant charge – Refrigerant is what cools the air in your home. The technician should check the refrigerant lines for any necessary repairs. Make sure the HVAC service contractor has an EPA refrigerant usage certification in order to buy refrigerant and to repair older systems that contain ozone-depleting refrigerants (CFCs). IMPORTANT: Your technician must know which type to use on your unit. Change the air filters – As the air circulates through your home, the air filters attract and grab billions of airborne particles. This helps the HVAC system deliver better air quality and protects the system. At Bloomfield Cooling, Heating & Electric, we recommend high-efficiency pleated air filters; their electrostatic charge attracts the tiniest particles, including bacteria spores and pet dander (a common allergen). Changing the air filters a few times a year keeps circulated air as clean as possible, reduces system wear and tear, and lowers energy costs by increasing the system’s efficiency. Clean the condenser coil – Make sure the technician removes the condenser covers or blankets outside (if you put them on in the winter) to check on the unit’s condition. The suction line (which helps supply cool refrigerant to the compressor outdoors), should be properly insulated to maintain optimal cooling; damaged insulation should be noted and addressed. Any vegetation or trash that has collected on and around the outdoor coil must be cleared; this enables the system to deliver the best possible performance with good air flow. Clear out the drain system – The technician will clear debris and check that the air conditioner’s condensate drain is not clogged. A properly maintained condensate drain lets the water to flow from a tray that captures it to a drain. Obstructions can cause water damage to the unit and in the winter, this can create high humidity levels that promote mold growth or bacteria buildup. In addition, a clear drain avoids putting undue load on the unit and improves efficiency (an obstructed drain will send out less cool air). Routine maintenance can also reveal other issues that may require some additional attention, such as mold, which affects indoor air quality and your health. Last year we told you about the REME HALO and the Blue-Tube UV light that purify indoor air of allergens, and prevent and kill mold in your AC unit. The technician should make a note regarding the presence of mold and your HVAC contractor should offer recommendations for remediation. In addition, the contractor should provide you with an estimate for any repair work the technician has noted to support your central air conditioning system. As we know, North Jersey gets a lot of rain in the spring and basements can be very damp and humid. Installing a dehumidifier in the basement will help prevent mold and odors there during the summer time. 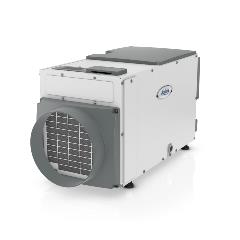 At Bloomfield Cooling, Heating & Electric, we recommend, sell and install high-quality, durable Aprilaire dehumidifiers that actually filter and condition the air. The water is pumped into a sink or drain so there’s no need to empty a water basin. They’ll keep the basement or other environments much fresher and healthier. At Bloomfield Cooling, Heating & Electric, Inc. we make your HVAC tune-ups easier to schedule and afford with our flexible maintenance plans. Prolong the life of your HVAC system, keep your energy costs in line, and avoid costly repairs. 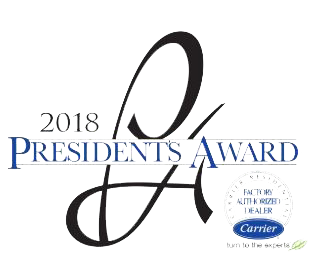 Contact our award-winning team at 973-237-0505 for your spring HVAC maintenance or for a quote on updating your existing system or installing a new one. As we know in Passaic, Bergen, Morris, Essex and other northern NJ counties, severe storms can wreak havoc with power supplies—fueling the need for standby home generators. Given the growing demand (some would say, need) for standby home generators in northern New Jersey, it’s now wonder that generator technician is a job that’s growing in popularity—and is a professional who is definitely in demand in our area. A generator technician services and installs generator systems and related equipment. These often run on heavy diesel or gas-fueled combustion engines, and are used to provide electrical power to homes when power lines are down or due to other service interruptions. This specialized mechanic installs generators, makes generator repairs, testis and monitors the engines’ combustion systems, and ensures the energy output is efficient. In some cases, it may also be necessary transport or dispose of hazardous and flammable materials as part of these service calls. 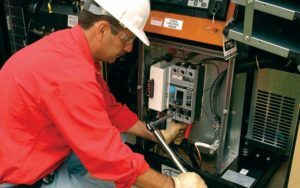 Technicians should have the field experience or a trade school background necessary to be fully trained in standby generator installation, maintenance, and repair. At Bloomfield Cooling, Heating & Electric, Inc., we are busy installing and maintaining standby generators throughout northern New Jersey—so much so, in fact, that we are hiring. As a certified, authorized Generac dealer and installer, we provide training and certification classes for Generac generators (of course, we also service other generator brands). Our technicians get plenty of experience working on top-of-the-line equipment for our customers in Passaic, Essex, Bergen, and Hudson counties. If you’re a generator technician looking to make a change, or you’d like to become a generator technician, contact Bloomfield Cooling, Heating & Electric about job opportunities. We offer a competitive salary with benefits, a great work environment, and a lot of satisfied customers who’ve helped us earn 12 Angie’s List Super Service awards and multiple Best of Essex awards as Best HVAC Company. Call (973) 237-0505 or email info@bloomfieldcooling.com. You rely on your HVAC system to provide a comfortable environment in your home; but if the system in not the correct size, that will have a big (and negative) impact on your energy consumption and costs. 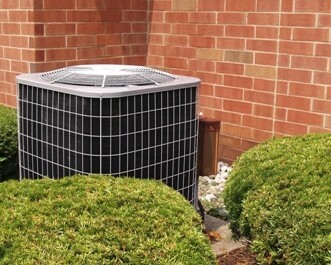 Therefore, it is crucial that your HVAC contractor take all key factors into account when making the load calculation that determines the size of your residential system heating and air conditioning system. This all concerns the capacity of the system to adequately heat or cool your home with maximum efficiency. An HVAC system that is too small will keep on running without providing adequate comfort. A system that’s oversized is inefficient in another way, with compressors that run cycles that are too short. These sizing errors are often due to basing the system solely on the home’s square footage. HOT TIP: Find out if the contractor is following Manual J® residential load calculations (the industry standard) and for installation, the Quality Installation guidelines from the Air Conditioning Contractors of America and the American National Standards Institute’s Standard 5. You should not hear the system run or hear the air moving through the ductwork. A quiet system indicates ducts are the right size, air velocity is correctly calibrated and the fans are using the right amount of power. There should not be any odors nor an unusual amount of dust (these indicate leaky ductwork). The air temperature should be even throughout all zones. You can check this by going room to room; changes in comfort level may mean the air distribution system is not properly sized, installed or balanced. Your utility bills should be lower since presumably, your system is more efficient and operating as expected. Of course, you always want to use a licensed and insured HVAC contractor to protect you and your home, and to ensure that only certified, well-trained technicians are doing all the installation and/or repair work. To discuss your needs—whether retrofitting an existing HVAC system with upgraded equipment or installing a new system—contact Bloomfield Cooling, Heating & Electric for a consultation: 973-237-0505 or info@bloomfieldcooling.com. Like any type of contractor, choosing a good HVAC contractor takes some vetting on the homeowner’s part. Here are some things to look for and look into before you sign that contract for a new heating & air conditioning system for your home. Get written estimates. There is no such thing as a real quote over the phone. Compare cost, energy efficiency and warranties among the various bids you get from licensed and insured contractors. The one you select should adhere to the written bid. Expect a thorough in-home evaluation. The HVAC contractor needs to survey your home thoroughly, measure the rooms, examine your insulation and existing ducting (if applicable), and look at many other factors that go into the calculation for your custom HVAC installation. The new system should be right-sized for your home. Size and load is very important to ensure your home will be comfortable all year ’round and that the system is not overtaxed in terms of heating and cooling efficiently. Make sure your new unit is really new. The average lifespan of an HVAC unit is about years (in terms of its efficiency), and technology continually improves system and energy efficiency. Don’t get stuck with the company’s old inventory! 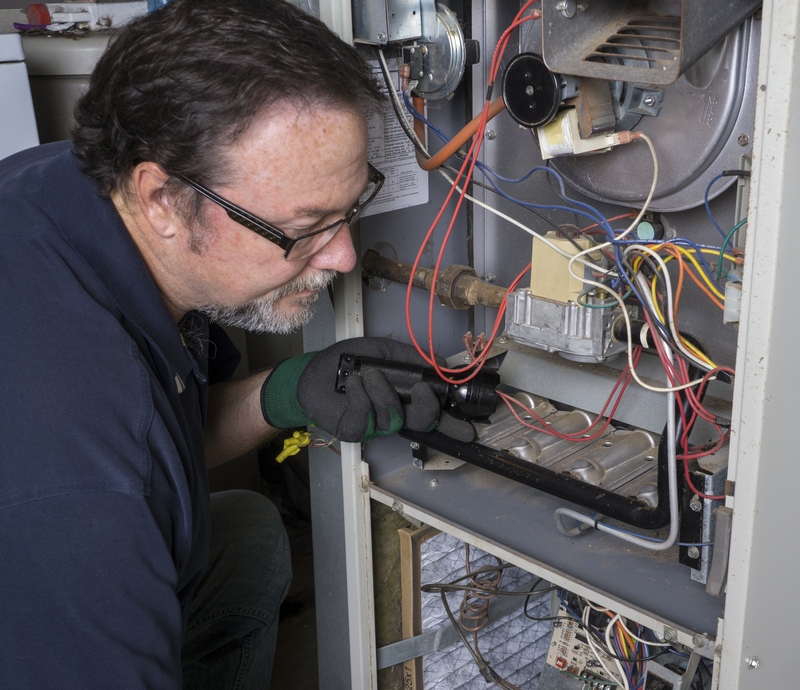 A properly licensed HVAC contractor will recommend newer options to bring your home up to date. It’s helpful to know the make and model of your current system, its age, and its maintenance history as a baseline. Don’t always go with price. You know the expression, “You get what you pay for?” There’s a reason why it’s true! With your HVAC system being the most complicated (or only) mechanical system in your home, it pays to go with the contractor who delivers the best value for the money—in terms of equipment, service, and support. The most inexpensive bid may cost you more in the long run because of unanticipated maintenance and repairs or higher energy costs due to an insufficient system. Get referrals, read reviews, research. Ask your friends and family who they refer for this important project and go online to read reviews from customers. Also ask the HVAC contractor for references and contact them for find out about the installation experience and service performance. Check the Division of Consumer Affairs and the Better Business Bureau to see if there are any legitimate complaints lodged against the company. At Bloomfield Cooling, Heating & Electric, all our technicians are properly trained and certified to perform the work they do in your home—whether a new installation, routine maintenance, or system repair. And, our company is licensed and insured to meet all State of New Jersey requirements, and a multiple award winner for the high level of service we deliver to our customers throughout northern New Jersey. For a free evaluation of your current HVAC system or information about installing a new one, contact us at info@bloomfieldcooling.com or 973-237-0505.